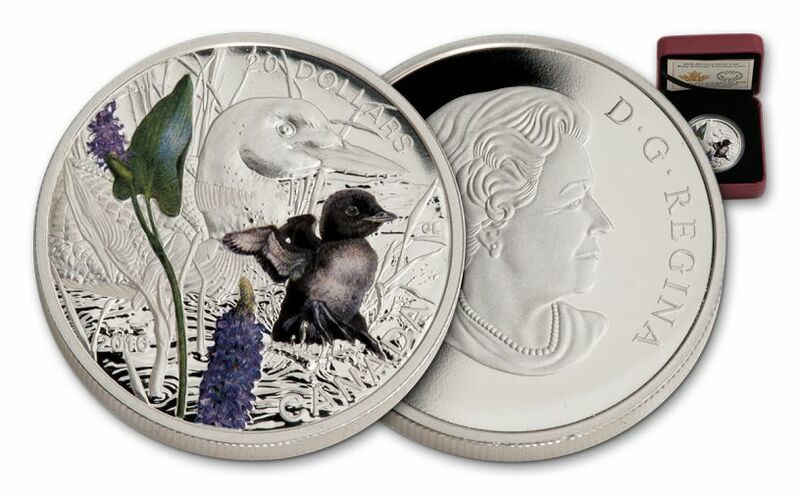 Collectors Go Loony for Silver Proof! 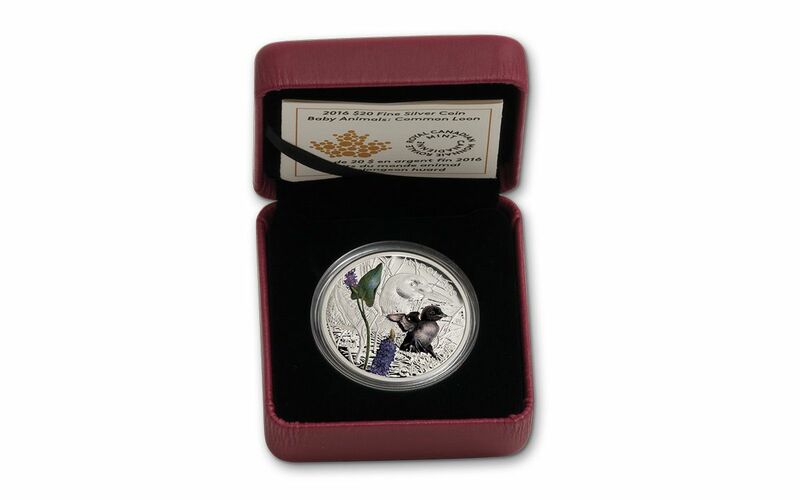 This colorful Baby Loon Proof from the Royal Canadian Mint is from their popular baby animal series. 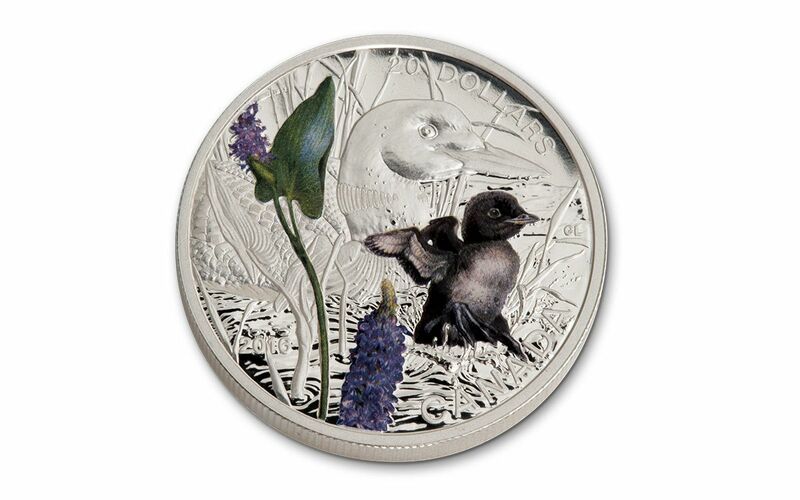 The proof features selective color over the engraved side-profile portrait of a baby loon. The brown-black downy feathers are given a soft appearance through detailed engraving as the chick splashes about in the water. Only 5,500 coins were released worldwide. 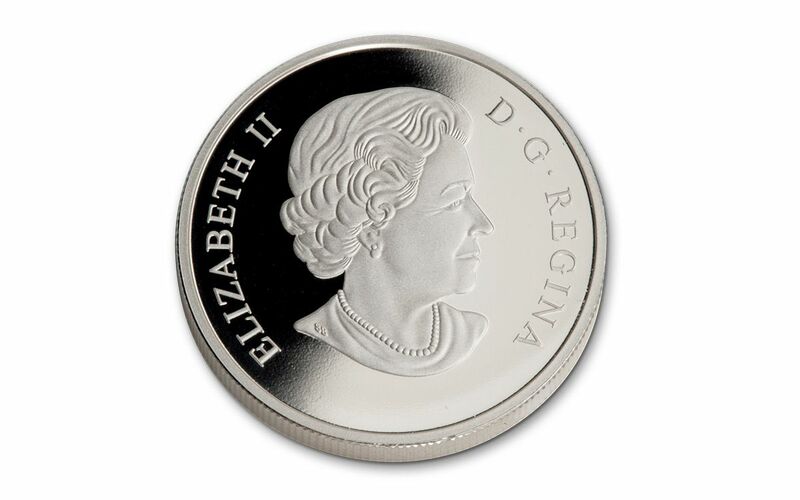 Each is struck in one-ounce of 99.99% silver and comes in an RCM presentation case with a numbered certificate of authenticity. Collectors are going loony for it. Don’t miss out!